Day trading penny stock is a strategy employed by some investors, and this method offers both risks and benefits. Day trading is a strategy used where the shares purchased are sold the same day, with the expectation that small price increases will pay off. Trading penny stocks can be ideal for some because these stocks usually have a very low per share price. Usually day trading penny stock means that you buy the shares, and have them sold before the end of the trading day so you do not hold the position overnight while the markets may be closed. Some investors consider any strategy that involves penny stocks to be a high risk, because they are not offered on any major exchange and information about them may be incomplete. 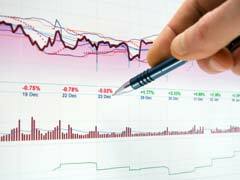 Using a day trading strategy for penny stock trading is not a good choice for most investors, because these stocks are normally held in the hopes of large future gains instead of small gains, which may only be a fraction of a penny each. Day trading penny stock does not usually allow enough time for these companies to become valuable, and you could miss out on a great investment with large future growth potential in exchange for very small returns. Instead each company should be held or sold according to expert penny stock recommendations and market factors. While there are investors who may get rich using the day trading strategy in the penny market sector these are usually the exception rather than the rule. Every investor has different goals and strategies, and day trading penny stock may work for some. The high level of risk that is involved makes this strategy a big mistake for most investors, one that should be avoided. Any new penny stocks should be carefully researched and evaluated before making any investment decision, and you should never risk more than you can afford to lose with any investment type. The day trading strategy involves higher risks, and so does the choice of penny stocks. When combined, the risks can be disastrous for many investors.